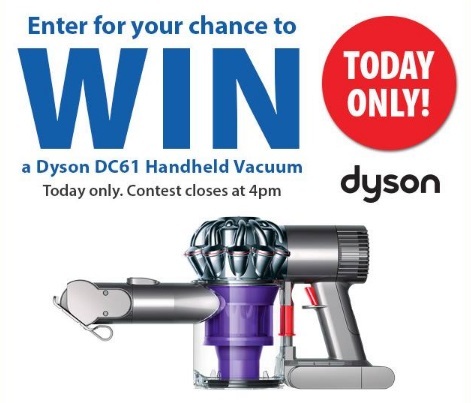 London Drugs is giving away a Dyson DC61 Handheld Vacuum today! Hurry this contest closes at 4pm today, Friday, January 27, 2017. Contest is open to all residents of British Columbia, Alberta, Saskatchewan and Manitoba.